What does it mean to be kind? What are some ways to show kindness? Well, let me tell you what I know about kindness. An act of kindness does not have to be big to be considered great or significant because the smallest acts and gestures could make the biggest difference. I think we could all agree on this. However, how can you do acts of kindness when we do not have time because we work, go to school, and have all these activities going on? I understand that the lack of time is a problem for many people who would like to participate in service efforts. This is one of the reasons why I love the idea of contributing to all kinds of service efforts in a variety of ways in a campaign effort that starts today: Random Acts of Kindness Week (RAK Week). 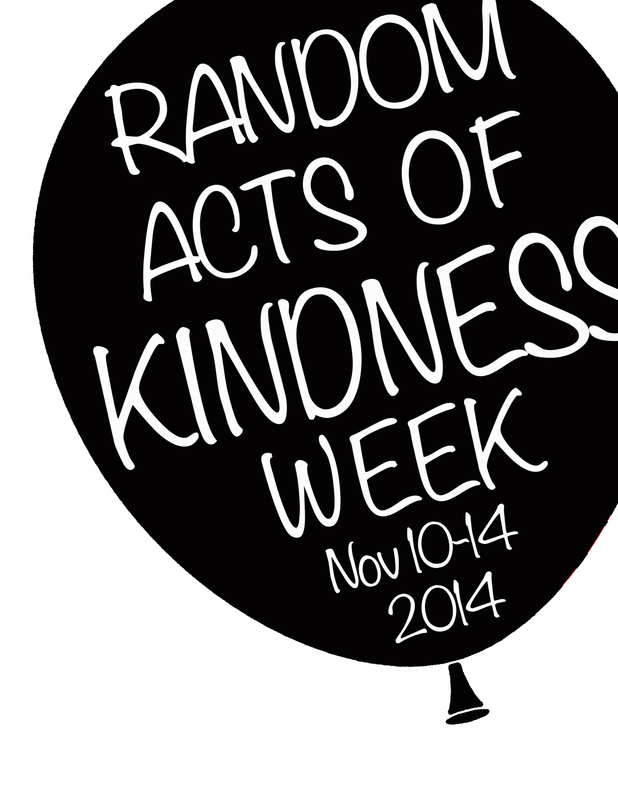 Random Acts of Kindness Week is taking place November 10 through November 15. Aside from promoting a culture of kindness on our campus, RAK week gives us the opportunity to serve others in a small but impactful way. The acts may be holding the door open to people, paying a compliment to a stranger, or just writing a note to a loved one, etc. There is a million things one can do, but if you need some ideas, you can always visit the Random Acts of Kindness Foundation website. Last year was my first year experiencing the effects that a small act of kindness could have on others. I saw people making an interaction with others that were complete strangers instead of being on their phone while waiting in line. Students let the staff and professors know they were appreciated. There were people buying Starbucks or a meal for the person that was behind them in line; kind notes were written and spread; people looked happy and cheerful. This is just a great and huge service campaign that Fresno State gets to participate in, and we are part of it. We just have to take the initiative to spread kindness. So, with this said, what do you plan to do for your act of kindness? What act of kindness do you do on a daily basis? How could you help spread kindness? Schedule of Festivities Celebrating Fresno State’s Random Acts of Kindness Week! Stop by the Richter Center Ambassador Random Acts of Kindness Table for kindness ideas and contribute to our thank you poster for local Veterans. Stop by the Ambassador booth to “fish” for some kindness ideas. Vintage Days, USU Productions, and Alternative Spring Break will also be on-hand to share their ideas for spreading kindness. When his wealthy grandfather dies, trust fund baby Jason Stevens inherits his grandfather’s crash course on life: 12 tasks-or gifts-designed to challenge Jason in improbable ways. The “course” sends Jason on a journey of self-discovery that forces him to reevaluate his priorities and determine what he thinks the most important things in life really are. Celebrate World Kindness Day by visiting the Ambassador Random Acts of Kindness table to share your story of kindness and get a treat! Guest speakers Dr. Nkosi, Dr. Levine, and Dr. Zografos will offer their thoughts and wisdom about kindness. All week, we encourage you to participate in Random Acts of Kindness to help perpetuate a culture of kindness. Share your kindness stories with us on Facebook at www.facebook.com/richtercenter or tweet @richtercenter using #RAKweek14 and #FresnoStateServes. What random acts of kindness have you witnessed or done in your life? Random Acts of Kindness Week is coming to a close, but what kinds of things can you continue to do on a daily basis to bring kindness to others? How does doing random acts of kindness towards others affect your own life? On Friday, November 15, at 12:00 pm Dr. Robert Levine and Dr. Honora Chapman will be featured on our Random Acts of Kindness Week panel in North Gym 160. 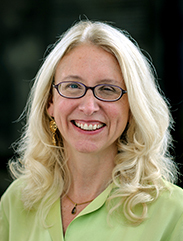 Dr. Levine is a Professor of Psychology and Dr. Chapman is a Professor of Classics and Humanities. Both will speak about how kindness can impact your life and those around you, and how kindness can come about from service. Barbara de Angelis once said, “Love and kindness are never wasted. They always make a difference. They bless the one who receives them, and they bless you, the giver.” Doing simple acts of kindness each day will have a positive impact on you as well as the receiver of the act. Join us at in North Gym 160 on Friday to listen about how significant kindness can be and how easy it is to adopt into our daily lives. 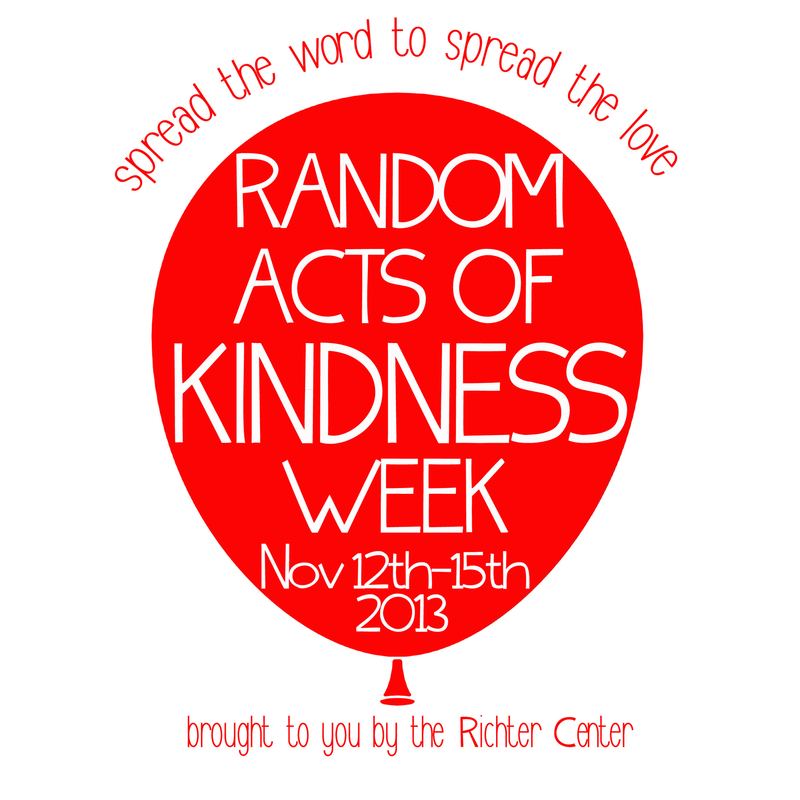 Let us know your random act of kindness ideas by using #FresnoStateServes and #RAKWeek13 or posting to our Facebook (www.facebook.com/richtercenter). Also, stop by our other events happening during Random Acts of Kindness Week. Spread the word to spread the love! As part of a project, I am doing research on several community benefit organizations around Fresno. I am amazed by the variety of causes people devote to, and many times, I want to join them in their efforts. By the end of an hour of researching, I have a huge list of organizations with a title, “Must Contact for Further Information.” The truth, though, is that I can’t join every worthy cause. There just is not enough time in the day! I have also noticed that this lack of time is a problem for a lot of people who want to participate in service efforts. This is one of the reasons why I love the idea of contributing to all kinds of service efforts in a variety of ways in a campaign effort that starts today: Random Acts of Kindness Week. Download this image and make it your profile pic to spread the love! Random Acts of Kindness Week is taking place November 12 through November 15, and aside from promoting a culture of kindness on our campus, it gives us an opportunity to serve others in a minimal, impactful way. These acts range from writing notes of appreciation to loved ones, paying a compliment to a stranger, holding the door open for people, etc. You name it! The possibilities are endless, and the impact however small, is amazing. Last year was the first year this occurred at Fresno State, and I saw the effects of it on multiple people. Staff that knew about it went out of their way to let others know how they were appreciated; students in line at Starbucks paid for the person’s drinks behind them; kind notes were written; and teachers were thanked. These kind acts are all part of a huge service campaign in which Fresno State gets to participate. So, I propose a new way of thinking. Let’s not talk about all of the things we wish we could do if we had more time, but instead, let’s agree that we CAN make a big difference…even if through small acts. So…what are some creative acts of kindness you can do? What kind acts do you do on a daily basis? How does that impact others? If you had more time, what would be one service activity you’d like to participate in? How can you make that happen through random acts of kindness? Spin the Wheel of Kindness, learn & share kindness ideas, and participate in the Picture the Change pledge booth! Be kind by saving 1 – 3 lives with a donation to the Central California Blood Center. The organization will be on campus with four blood mobiles located at the Student Union, Education Building, Maple Mall, and Engineering East Building. Visit http://www.donateblood.org for more information. TV Night, featuring Derek – A little kindness never gets old. Celebrate World Kindness Day with a screening of the critically acclaimed BBC series, Derek starring Ricky Gervais as Derek Noakes, a loyal English nursing home caretaker who sees only the good in everyone. Derek’s sunny outlook comes in handy with his quirky coworkers and friends as they struggle against prejudice, government bureaucracy, and constantly shrinking budgets to care for the elderly residents who depend on them. Refreshments and opportunities for reflection will be provided. Visit the Ambassador Random Acts of Kindness table to share your story of kindness and get a treat! 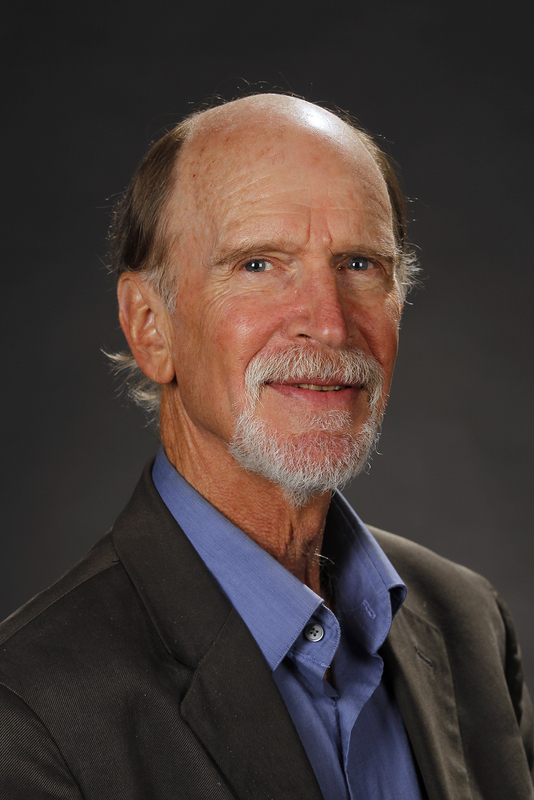 Guest speakers Dr. Levine and Dr. Chapman will offer their thoughts wisdom about kindness. Register by November 13th at http://www.frenostate.edu/cesl to help revitalize Woodward Park or build trails with the Sierra Foothill Conservancy. This will be a great community-effort Act of Kindness!